Please join us on Sunday April 28 as we celebrate Earth Day with a special program honoring the call to action by the youth-led protest movement sweeping the globe and inspiring a generation of young activists. This event, organized with UNA-USA, will be structured as a community convening inspired by and holding space for youth-led climate activism and inquiry. To kick off the convening, UN Association will present documentation of Greta Thunberg’s address to the UN and local public school Queens Collegiate will present their video project on climate effects around the world. 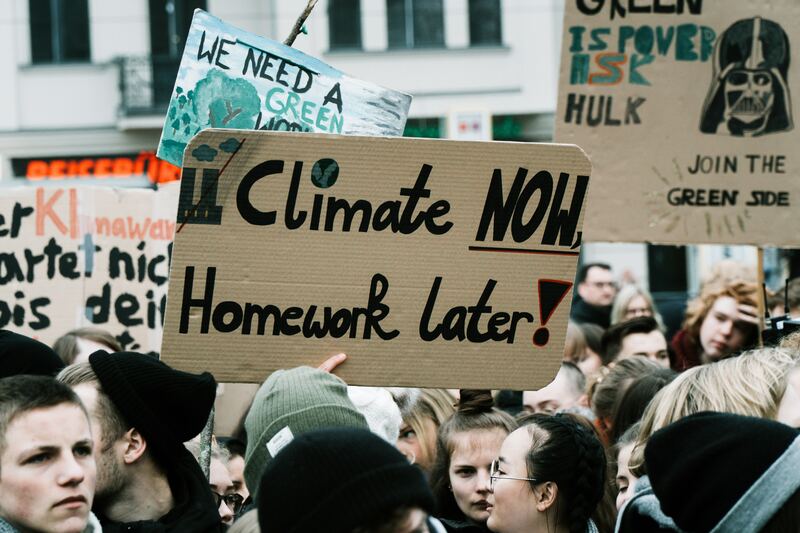 Youth movements from across the city will be invited to bring their questions to a panel with city and state representatives and movement leaders, working on achieving the 17 Sustainability Goals of the Paris Agreement. This facilitated Q&A session will discuss and address the demands and questions of the youth. Join this hands-on crochet workshop and learn how to up-cycle single use plastic bags and turn them into fashionable reusable objects and accessories with Bordeando. Info tables by: Cista Girls, Sunrise Movement, Fridays for Future, The Beacon School Environmental Club, and more. Answering the Call a video produced by students of Citizen Science and Gen UN at Queens Collegiate Middle School and High School, Jamaica, NYC. Naomi Hollard, Columbia Hub for Sunrise Movement, discussing the development of the Green New Deal and growing youth-led climate action movement. John O’Leary, NYS Energy Research and Development Authority, presenting the proposals of the U.S. Climate Alliance, the group of states that plan to meet the goals of the Paris Agreement. Ross MacWhinney, Sr. Advisor for the Mayor’s Office of Sustainability, presenting the climate actions proposed in OneNYC . BordeAndo convenes a group of Queens-based amateur and professional textile artists working in crochet and embroidery. Working together, people share personal experiences as well as ideas about art and technique. Participants create a variety of crochet and embroidered functional artworks and wearable items, forming a strong connection between traditional artistic methods and the urban environment in which participants live. The group is developing a bridge between traditional knowledge and daily modern life and has made it a goal to address community and environmental health in their work.